Sabers get on the board first with a Lenane single, that scores Pizarro. Knights tie the game on a RBI double by Paulino. Curtin would hit a go ahead sac fly in the 4th. 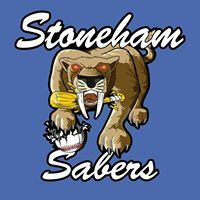 McNamara went the distance for Stoneham, striking out 5 to earn his 3rd win of the season.